If you have installed the TM1 Data Agent, this feature can be administered in Advanced Mode. When the TM1Connect Data Agent node is selected in the tree, the content pane is populated with any Server Connections and options pertaining to the Data Agent, such as the Polling Frequency, Service Status, and Logging. Changes to these can be made on this page and saved by clicking Save Settings. ❑Service Status - Stop / Start the service as needed by clicking the button. ❑Log Directory and Filename - If Logging is enabled, this is to specify the directory and filename to be logged to. 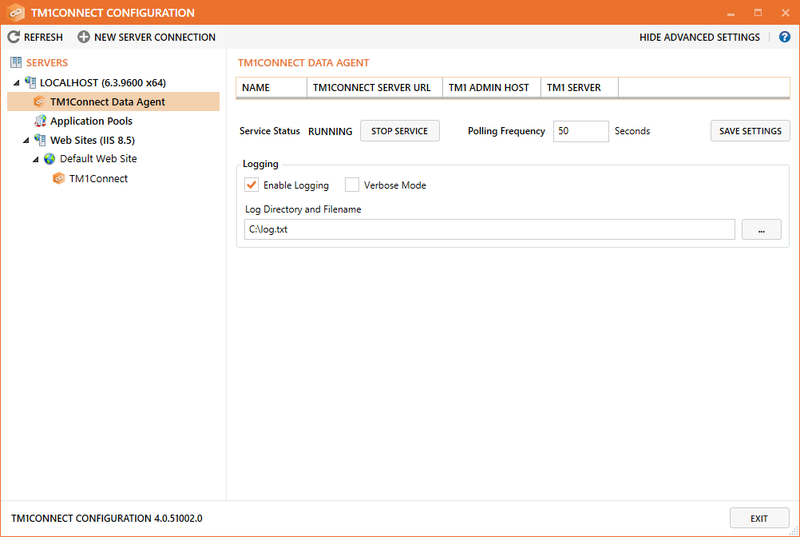 ❑Polling Frequency - Specify the rate at which TM1 Data Agent checks for extracts ready to be performed. 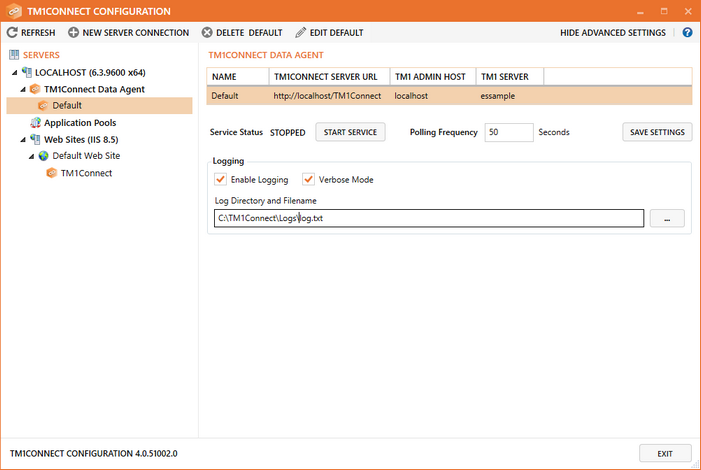 Use the Logging area to specify what information will be logged and the location of the log and the trace entries. ❑Verbose Mode option will provide stack trace information in addition to log entries. This option should only be used per instructions from technical support. 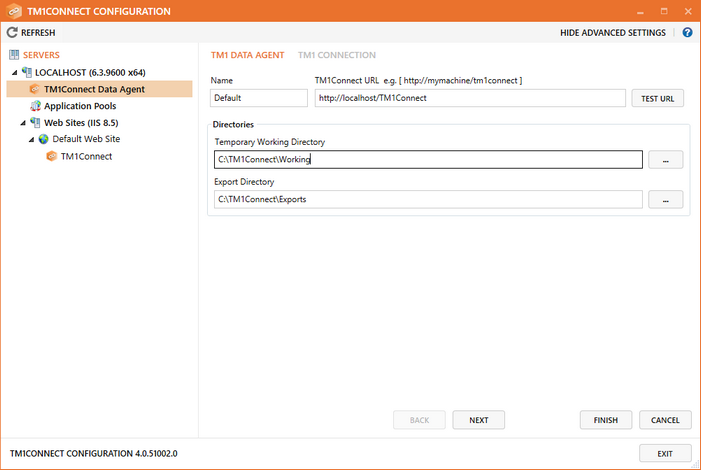 With the TM1Connect Data Agent node selected, you can select New Server Connection to begin adding a Server Connection to the list of Servers which the Data Agent will poll. 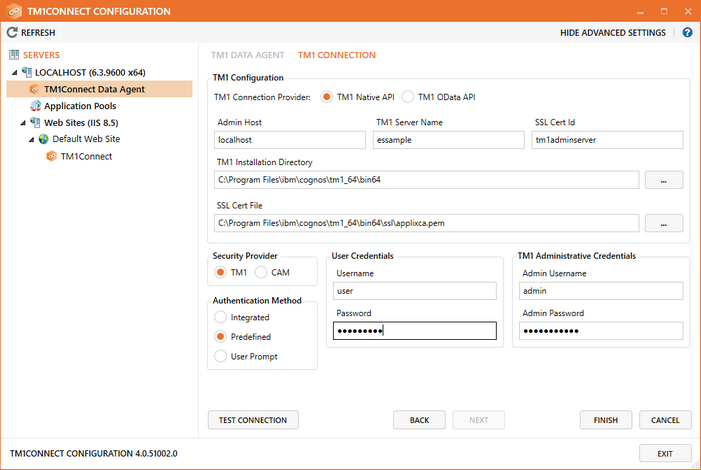 New in this version is the ability to add multiple server connections, all of which will be polled by the TM1Connect Data Agent.